Apologies for the, somewhat, out of focus photo. For the life of me, I don't know why, but my camera wouldn't cooperate. And, after taking 600 photograph this bottle, not one turned out well. 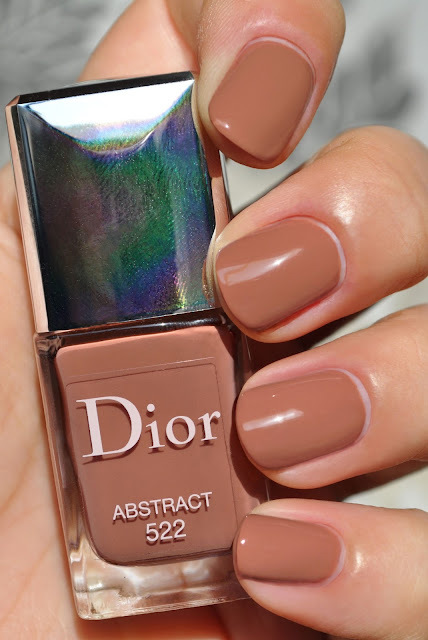 A cozy, chic beautiful shade for autumn, Abstract 522 is a warm, rosy-camel with a lovely, shiny, creme finish. The formula's creamy consistency applies smoothly, without any hassle. 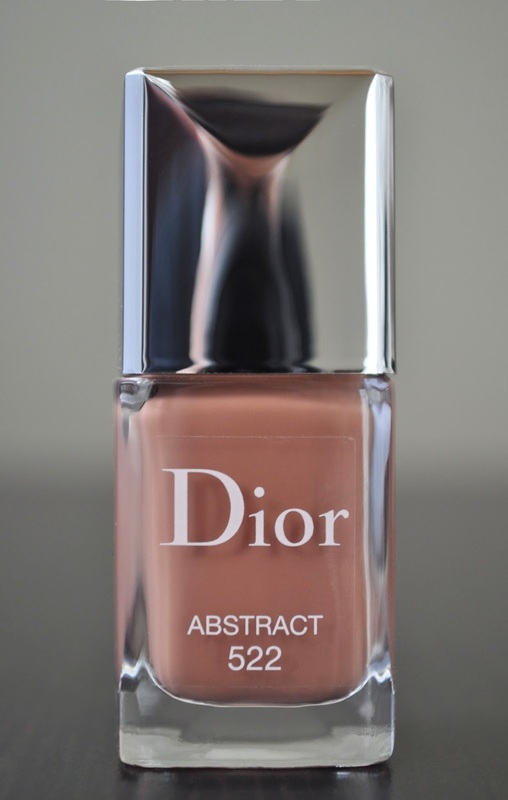 One coat gives a uniform, solid color, but two coats deepens the shade, matching the bottle perfectly. I've worn Abstract several times, and it wears for an average of 4-5 days. If there are any camel polishes you love, I would love to know them. I am a sucker for camel colored polishes. Simple, chic and goes with everything.